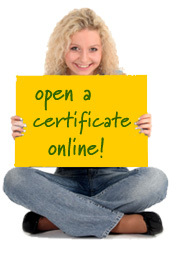 If you don’t need your money for 12 to 24 months, investIT Certificates are a safe way to earn more money on your money. Rates are higher than the average savings account or secret spot under your mattress. If you think you may need the money before the 12 or 24 months, consider a money market or saveIT account instead. Auto Renew One month before your certificate matures we will send you a letter asking what you want us to do with your money. If you do not tell us what to do within 7 days of maturity , the money in your certificate will automatically roll into another certificate for the same number of months (12 or 24) at the current rate. What will it take to save for a major purchase?